For in-store inquiries, use sku #2540756. 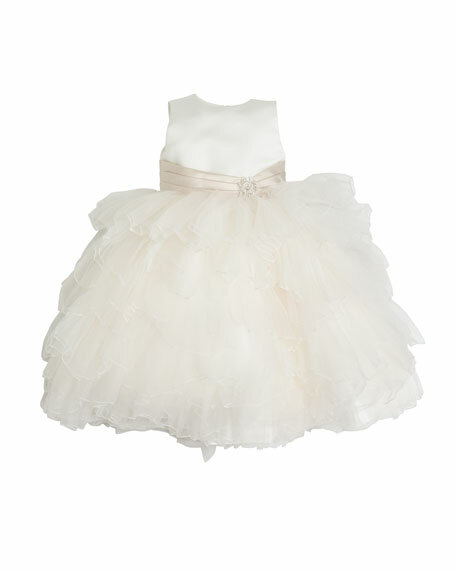 Joan Calabrese dress with satin upper and tiered, ruffle tulle skirt. Contrast pleated belt with crystal brooch at side. Round neckline. Sleeveless. Faux crystal button back conceals zip. A-line silhouette. Polyester. Imported. 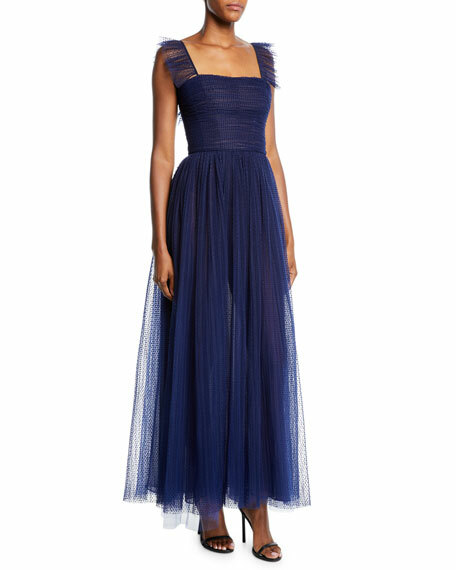 Marchesa velvet cocktail dress features a gathered tulle hem with floral appliques. Off-the-shoulder, shirred tulle neckline. Cap sleeves. Fitted silhouette. Hidden back zip. Mini length. Silk/spandex. Combo, nylon. Made in USA of imported materials. 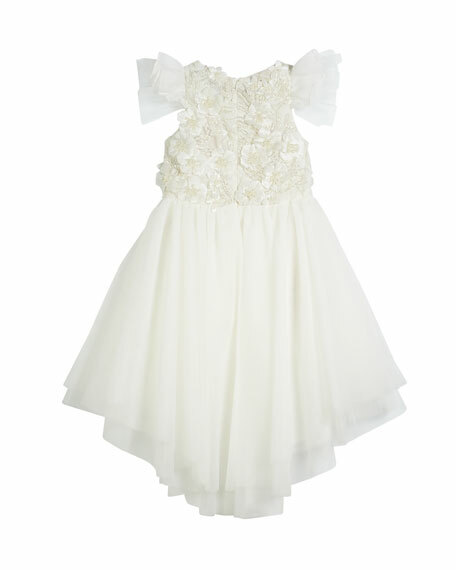 Milly "Sonia" dress in flocked dot tulle. One-shoulder, asymmetric neckline. Sleeveless; wide strap at right. Sheer yoke and back. A-line silhouette. Asymmetric hem. Mini illusion. Knee length. Rayon/nylon. Dry clean. Imported.